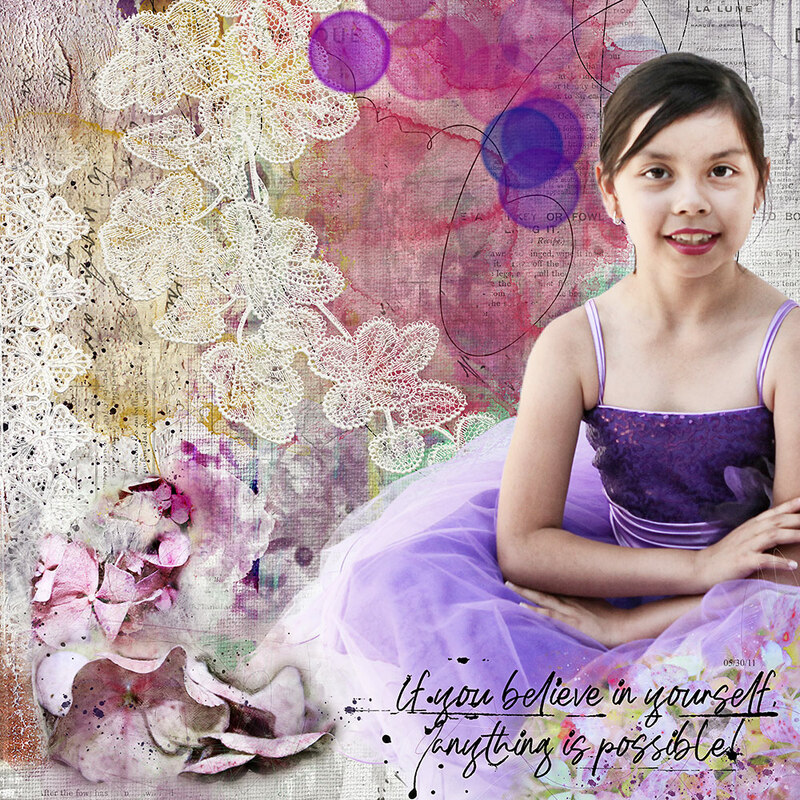 Anything is Possible MiniO Collection – Inspiration by Flor (aka twinsmomflor) Flor here. I am so excited with Anything is possible Mini O collection. Nicole made it with the thought yes you can ! The collection opens the door for you to create amazing artistic layouts and the opportunity to play with texture, and paints using: brush mix, brushtools and styles. I love the magic templates a combination of layers textures brushes ready for you to let your artistic juices fly. For my layout: I selected the magic template, place two of the paper media paper as my background (one of them with the overlay mode and only 20% opacity). I extracted the photo and place it to the side. Place the mix media at the background.I place the loopilaloozas on the top of the paper. I place the overlay paper after the lace elements. Place the magic lights on the top. Place the extracted photo to the side of the layout, place the flowers, artsy bits, brushes and wordart at the top and some behind the photo. 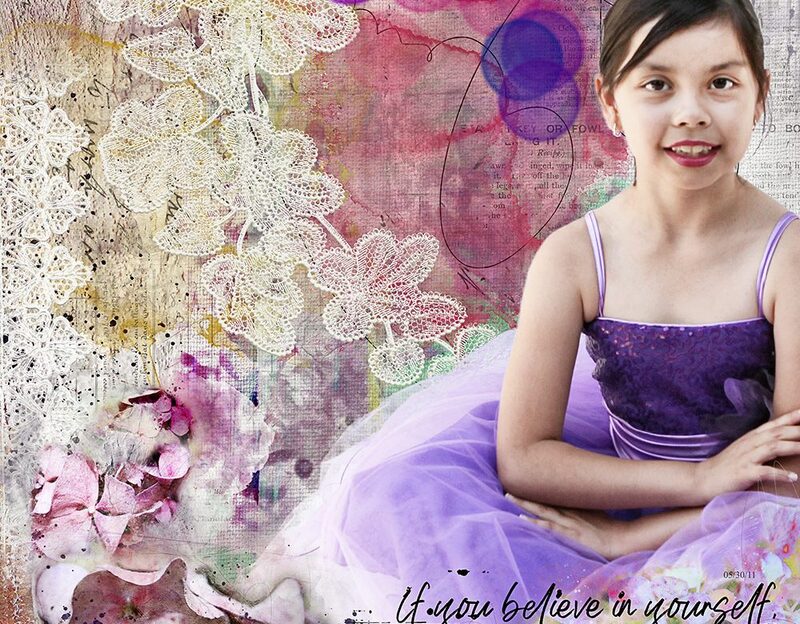 The photo is not full opacity make sure that you erase the overlay to the parts that you would like to stand out.